TYPE-MOON's Fate/ series is renowned for its unique take on the fantasy genre. Incorporating powerful figures from history, and bringing them into a new battle for the Holy Grail, the franchise has recently hit new heights. 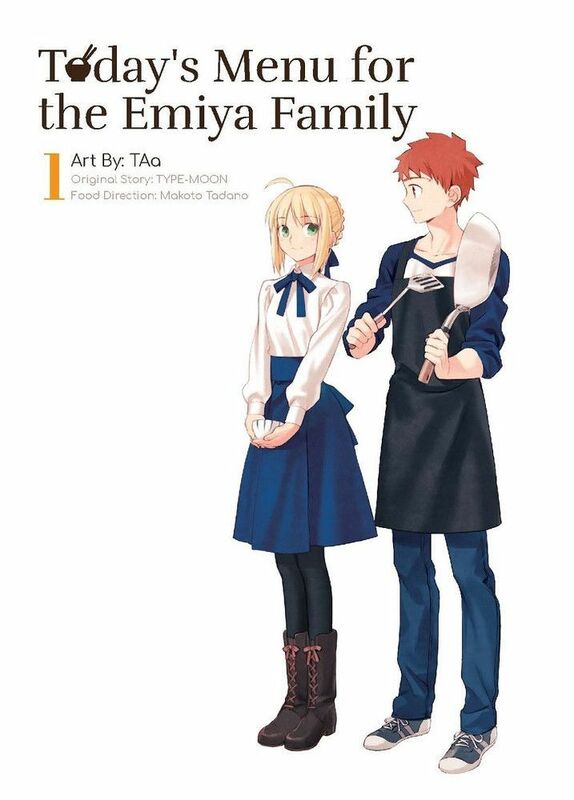 But in Today's Menu for the Emiya Family, instead of experiencing the fantasy and lore of Fate/, we are invited into the Emiya family home to dine with Shiro, Saber, Rin, Taiga and more. With every meal, and every chapter, Shiro prepares a seasonal dish set to warm up hearts and fill bellies. Each chapter is followed by an actual recipe from food consultant Makoto Tadano. So enough talking (and fighting)… Emiya, what's for dinner?? !